Here is what the trays look like when they are empty. 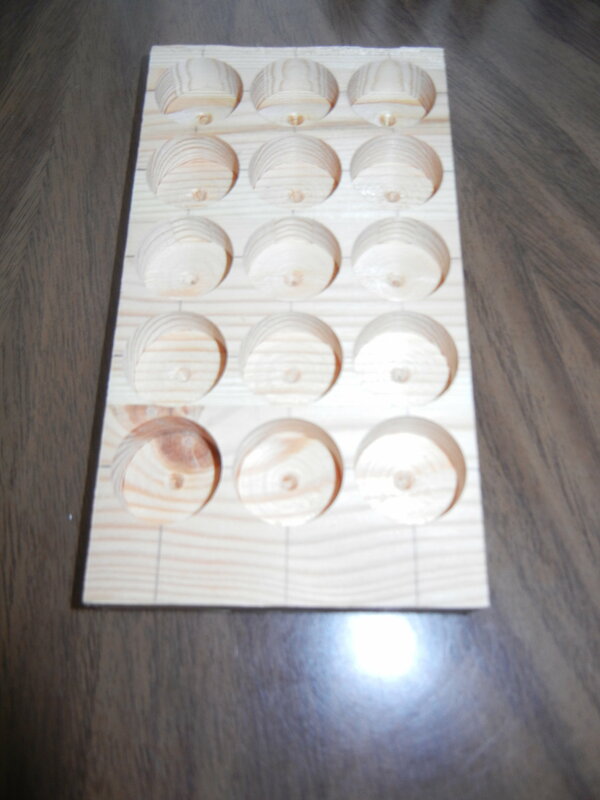 Each tray is made of wood and has 15 holes drilled with something called "Forstner bits". Each hole is 1-1/16th inch wide. I'm not sure how deep they are drilled, but it's just enough to hold them securely in place. I plan to stain them to match my shelf. Way to go!!!! Well done!!! !